You can trust us to make your dreams come true! Stars shining brightly, champagne bubbles fizzing, hearts pounding with anticipation… a wedding in Monaco with Monte-Carlo Société des Bains de Mer is the promise of a magical celebration in exceptional locations. Expertise you can trust, a flair for elegance and excellence, service elevated to an art form. Let’s work together to write the most beautiful of stories: your story, and the story of your wedding. To celebrate your wedding in style, Monte-Carlo Société des Bains de Mer opens the doors to its prestigious hotels and reception spaces. Magical locations we make available based on your dreams, expectations and number of guests. From the welcome and farewell parties to the vows and reception via brunches and other relaxing moments, nothing here is left to chance. You and your wedding are unique! Allow us to create a day, weekend or week of festivities that reflect who you are. Trust us with your dreams, flights of fancy, every last whim and desire, and let us make sure your wedding reflects your traditions, turning your event into the most beautiful moment of your life. 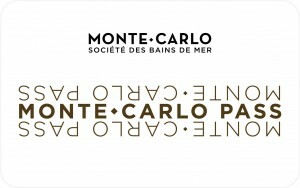 Because each and every client is unique and because organizing an event is an event in itself, Monte-Carlo Société des Bains de Mer offers you personalized support and treats you to your very own contact person. Like an orchestra conductor, they will act as a guide, working closely with you and your very own Wedding Planner or Event Planner to fine-tune each and every detail to create an exceptional tailor-made event. What could be more beautiful than saying ‘I do’ in Monaco? 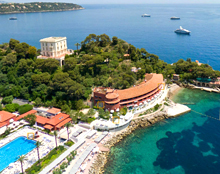 Here, couples and guests are invited to soak up the dolce vita, Monaco style. >Shopping experiences, thrills at the casinos, seafront walks, terrace cocktails, pampering at the Thermes Marins Monte-Carlo: make your vows as special as you are, engraving them forever in your hearts and in the memories of your guests. Bring incredible festivities to life in the Salle Belle Époque room at the Hôtel Hermitage Monte-Carlo.